I went on a dual-purpose ride today. 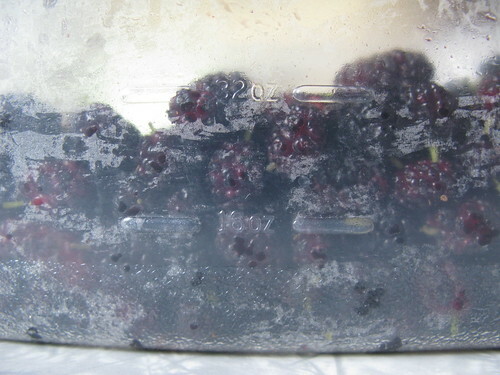 I made an scouting trip yesterday with the dog, and just snacked on mulberries as I find them, but made plans to come back again…with tupperware! I got one of these big semi-disposable plastic tubs about halfway full. And I found some more bushes, which are conveniently on my way home from work. I will be stopping nightly to scavenge berries for the duration of the mulberry season. I pureed the lot and portioned them into smaller containers to freeze. I will used them mixed with other berries in smoothies. 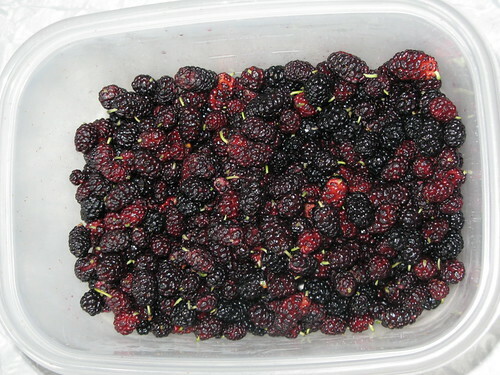 Mulberries don’t have a very strong flavor, but are quite sweet and have a pleasant, almost creamy texture. The seeds are tiny and you hardly notice them. 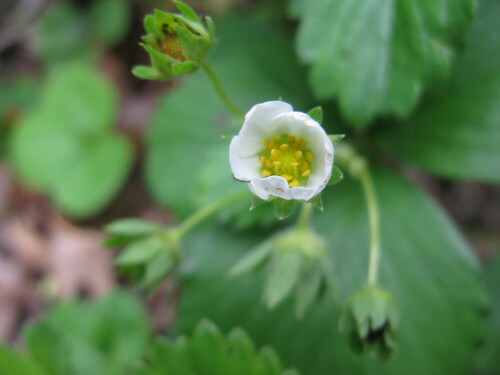 I think they will be a good mix with strawberries or blueberries. More green berries – I think I took this picture last weekend or maybe the week before. 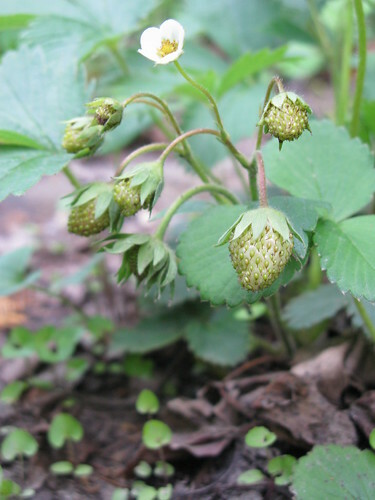 I’ll have to take some pictures of the ripe berries after the next round of them are ready to pick.